Denham, United Kingdom, 2018-Apr-16 — /Travel PR News/ — Directly connected to Terminal 1, the Holiday Inn Express® at Paris – Charles de Gaulle (CDG) Airport, an IHG® hotel, has recently opened to provide guests with easy access to one of the world’s busiest airports as well as speedy transport links into central Paris. Gone are the days of waiting in the airport for a ten hour lay-over, or waking up at the crack of dawn to catch an early morning flight. 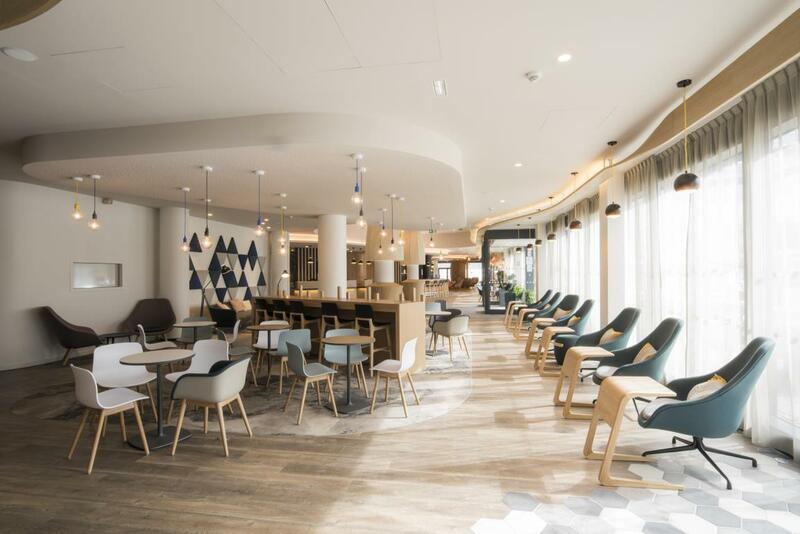 The newly-opened Holiday Inn Express Paris – CDG Airport is the perfect destination for travellers who want to make their next trip that little bit easier. The newly built 305-room Holiday Inn Express ‘Next Generation’ property has been designed with guests’ needs in mind. Each room features wide beds with noise-absorbing headboards, bed-side built-in USB ports, plasma screens that can be connected to personal devices to stream media, a power shower and free Wi-Fi available throughout the hotel. In the modern public spaces, guests can also enjoy an Express Start Breakfast™ included in their room rate, offering a selection of hot and continental food. The Express Café & Bar is also open 24/7 so there’s always a place for jet-lagged travellers, late arrivers or early risers to grab a bite. The hotel also boasts naturally lit meeting spaces which are available for business meetings. Holiday Inn Express is IHG’s largest and fastest growing hotel brand globally with 2,600 hotels open and an additional 766 set to open in the next few years. Across Europe, there are 244 Holiday Inn Express hotels open and 67 in the development pipeline, 9 of which will be in France. Across all its brands, IHG has 56 hotels open in France, and a further 15 in the development pipeline. This entry was posted in Airports, Hospitality, Hotels, Travel, Travel Services, Travelers and tagged Arnaud Vermerie, Holiday Inn Express® at Paris – Charles de Gaulle (CDG) Airport, IHG, Mike Greenup. Bookmark the permalink.